story story is a duet for 2 dancers. It is based on a text I wrote during 2010.It is an investigation about capturing a moment and filling up a space with the atmosphere of that moment and it's memory. The work I consider a work in progress, It touches elements I haven't touched before such as text, speaking and harness work in a center of the room changing between two persons. As well as a live collaboration with a composer. 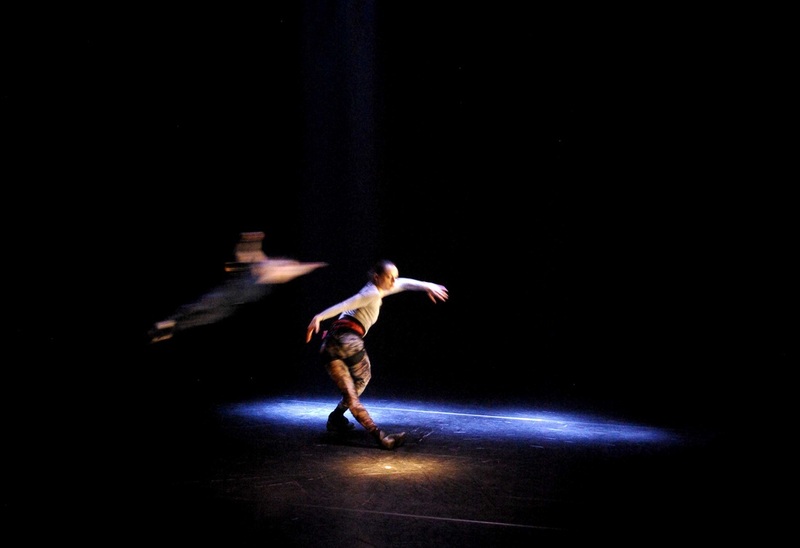 The work was developed in collaboration with dancer Wubkje Kuindersma and composer Camilla Barratt- Due. 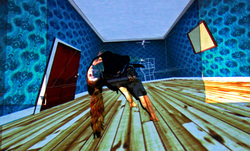 We developed the most of it during a residency period in PERFORMERS HOUSE in Silkeborg. This is a solo with a main focus to research perspective. I wanted to once again investigate how much the connection between video, this time animation and vertical dance has to offer. It is a question related to what is 'real' and how many different 'reals' can we experience in one small space. 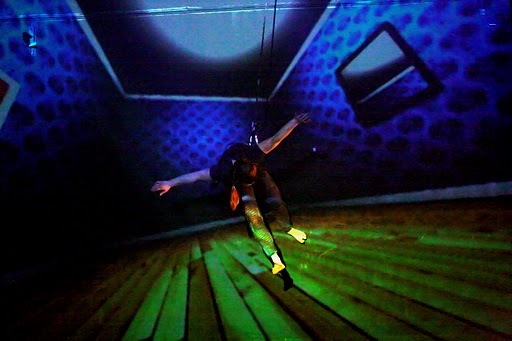 It opened a deep curiousity regarding surrealism and is joyful experience that isn't over. 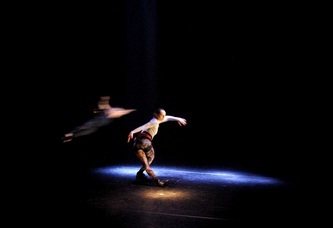 The piece premiered at IN PEACES DANSEhallerne, April 12th. Dans. Dansk/israelske Esther Wrobel og hollandske Wubkje Kuindersma har begge de seneste år markeret sig stærkt som dansere herhjemme. Nu er de gået sammen og har dannet kompagniet 3rd Addiction, der tirsdag debuterede med forestillingen ”In Peaces”, hvis titel hentyder til både brud og fred i et forhold. En forestilling bestående af fire, små, interessante værker af og med Wrobel og Kuindersma selv. Som danser udmærker Wrobel sig med sin yderst fleksible, kraftfulde og akrobatiske stil, der ikke mindst i hendes fantasifulde og sjovt videoanimerede soloværk ”The Room” med snoretræk og dans på væggen sender tankerne til nycirkus og Trisha Browns eksperimenter fra 1970’erne. En helt anden lethed har den ballettrænede moderne danser, Kuindersma, når hun bl.a. 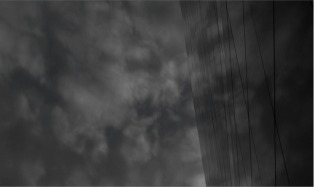 folder sig ud i sin egen velkoreograferede og videoanimerede solo ”Presence Of Absence”. Visse ting kunne strammes op, men alt i alt er ”In Peaces” et fint startskud fra 3rd Addiction. 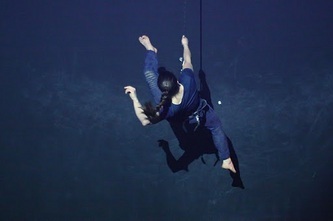 CRUST was supported by Copenhagen Municipality and Junge Hunde Festival 2008 has performed at K15 Festival in Germany and SHALEM Festival in Israel. The project was a collaboration with video artist Malene Nielsen. 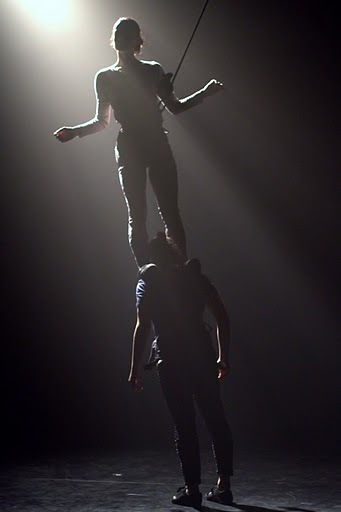 I TRY is a duet for a musician and dancer. Has focus on efforts ,repetitions and communication. Created as a part of a choreographic residency in Copenhagen University and facilitated by Gunild Sames Pak. A film aimed to capture and touch the landscapeof Danish Capital- Copenhagen in its most vulnerable, magical and deserted hour.